Enjoying a workout at the park while the boys play. My kids go to school so I have no excuse when it comes to working out. I have the time to go to the gym or go running. I have many friends with little kids who always complain that they wish they had time to work out. I remember when my kids were little and how tough getting some exercise was. I knew that exercise was important not only for my health but also my mind. 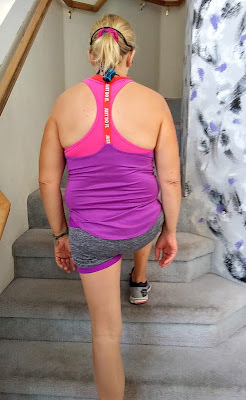 So I always made sure to workout at least three times a week and some days I had to be creative in order to get that exercise as it was not always easy exercising with little kids. I want to share some of my ways for stay at home moms can get that healthy exercise and stop making excuses. The best part is you don't need a gym membership or have to work around your husband's schedule. My favorite and easiest way to exercise when my kids were little was walking. I would put my child in the stroller and we would go for a fast walk. To make my walk easier, I would park my open stroller by the front door so it was always ready to go. I would always try to walk right after my kids ate so they would not get hungry during the walk as it was a pain to find somewhere to nurse the baby. As my kids got older, they still rode in the stroller until they were 5 years old. My kids learned that mom was walking and they were riding. To make my kids enjoy our walks we would walk to the park for playtime. I always choose a park that was far away from the house so I got my exercise. The park would be great for ensuring the kids took a nap on the walk home. I also had a twin stroller for the youngest two boys as they were 16 months apart. The twin stroller gave me a great workout. If you have a store nearby, then walk to the store for exercise when you need just a couple of items. Don't let cold weather stop you from getting the needed exercise. Bundle everyone up and get walking. Make sure to apply sunscreen year-round. Check out these reasons why you need sunscreen even in the winter. Tip: Make sure you eat a healthy snack before walking so you have the energy. Walking was my favorite way to exercise but on days it was too cold or windy, I would put on music and just dance. While you are dancing, make sure to add it some kicks and arm movements. My kids loved this dancing time with mom. My house has stairs so I would also walk up and down the stairs. My boys had such fun chasing mom up and down the stairs. You can also use a workout DVD to help with your exercise. If you have weights, those are also good to add into an indoor workout. Moms of babies or toddlers can use their kids as weights as they lift them up and down. Even doing some online yoga videos with the kids is a great workout. It might even calm the kids as you build some muscle. Tip: Make a game of cleaning up toys during this time. See how fast you and the kids can run the toys upstairs to their bedroom/playroom. Tip: Exercising three days a week for 30 minutes keeps your body healthy. For weight loss do five days for 45 minutes each time. Have fun at the park with the kids. Hanging on the monkey bars is great for your stomach muscles and arms. If you are able, try to do some pull-ups. Climb up the slides and play tag with the kids. Swinging is also great exercise. When your kids want you to push them on the swings, get some leg lunges in. I like to also do laps around the park/playground equipment. Bring a jump rope and kettlebell weights with. The key is to keep moving. You can also do this workout in your backyard while the kids play on the swingset. If you are in your own yard, you will feel more comfortable in moving more. Put on the headphones and march in place for one song then do the monkey bars. March in place again and then do the kettlebells and so on. If your children take naps this is a good choice as you can run on a treadmill. My boys were not nappers so I did not use any exercise equipment. I found it impossible to work out on machines when the kids were awake as I had to worry about their safety. My boys wanted to use the machines as I was using them and telling them no and get away made the workout useless. This is good if your kids are older and good swimmers. 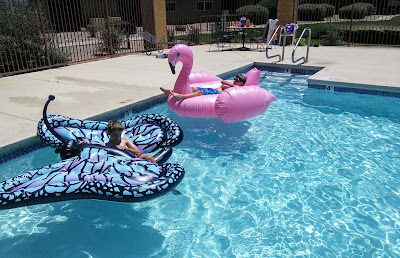 When my boys are in the pool, I do arm and leg exercises and also treading water while watching them at the same time. Water has a great resistance to work those muscles. I also run and jump in place in the water. My boys love when I use them as my weights in the water. I lift them up and down in the water for great arm and stomach exercise. They also love having swimming races. For moms with younger kids, you can still get some exercise in, if you put the baby in a safe pool float and workout near them. Just don't forget the mineral based sunscreen as you don't want sunburned skin. 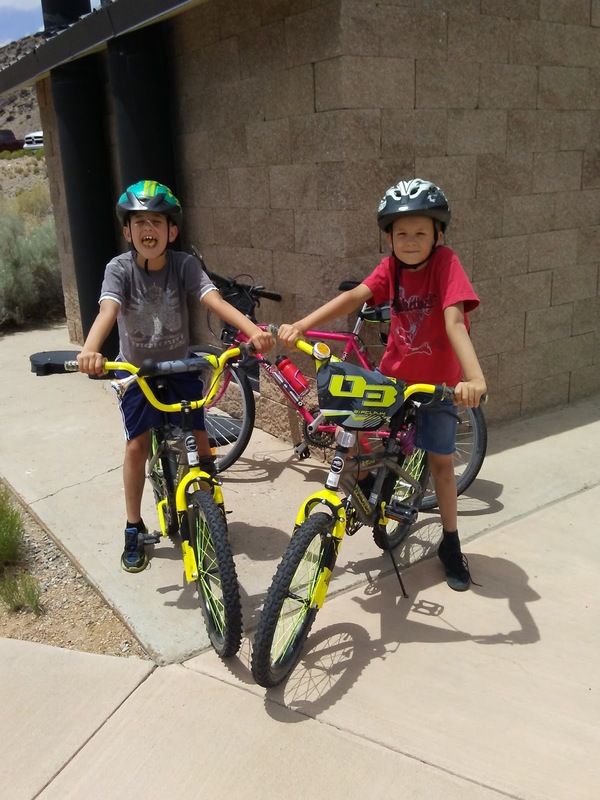 This is also best with older kids who can bike for one or more miles. They ride their bikes and you walk fast trying to keep up with them. You can also get a bike trailer for the kids to ride in while you bike. I like to combine errands with bike riding for great exercise. These are just some of the ways that I would exercise when my boys were little. I still do some of them when the boys are home from school. 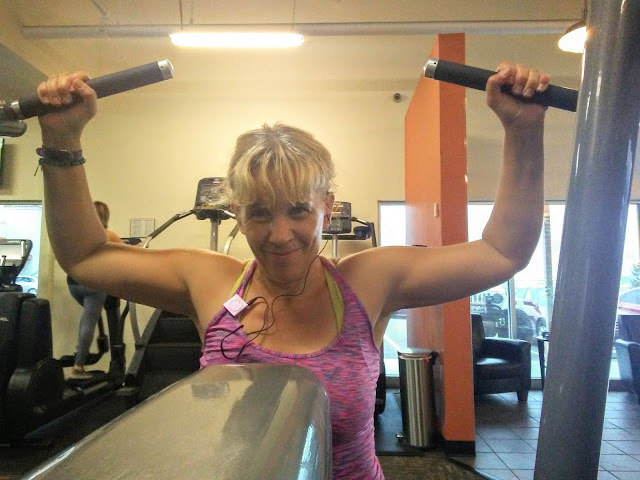 I never used a gym when my boys were little as it cost too much money nor could I rely on my husband to watch the kids. I just made exercise an important part of my life like eating, sleeping, and brushing my teeth. Our bodies need exercise to stay healthy as well as good food. We moms need to take the time to take care of ourselves even are super busy moms. Exercising and eating healthy will not only keep us well but it will make us feel good. You might even lose all the baby weight from many years ago. So stop making excuses and go for a walk today. If money allows you to have a gym membership and the gym has daycare, then give yourself some much needed time and exercise. Drop the kids off to play while you workout. Check with your husband's job to see if they provide free or reduced gym memberships like my husbands work. 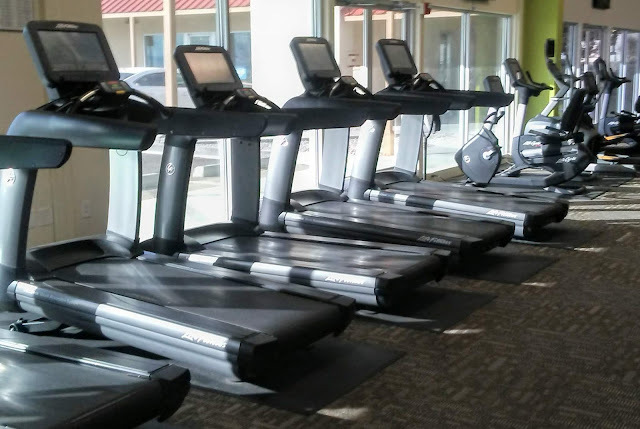 If the gym is going to be your motivation to workout then budget the gym into your expenses. I still enjoy running outside the best but I will visit the gym to do simple weights and it has done wonders for my arms. 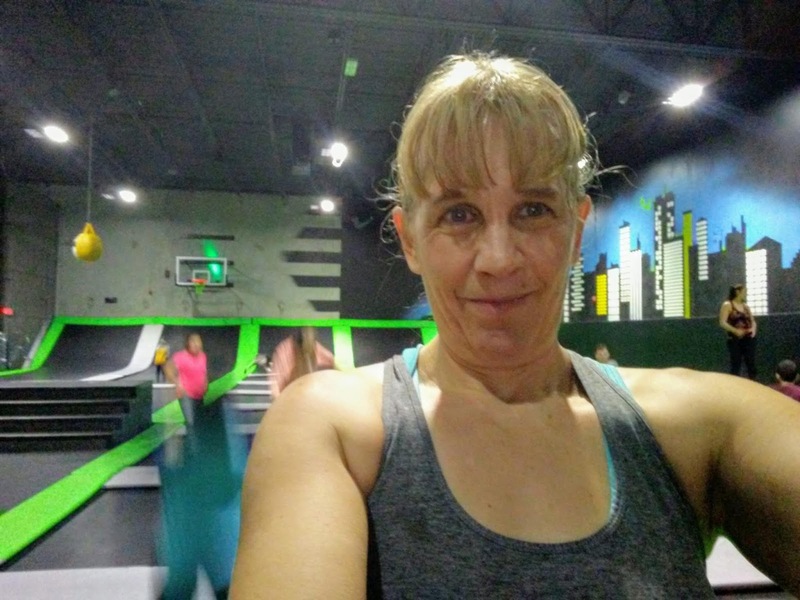 I think the most fun way to get exercise is at a trampoline park. A couple times a year, the boys and I head to a local trampoline park for some super fun exercise. If you have never bounced on a trampoline, you should as it is so much fun and it burns lots of calories. Check to see if the trampoline park near you has discounted rates for moms and preschoolers during the week. Connect with other stay at home moms and join a walking club. 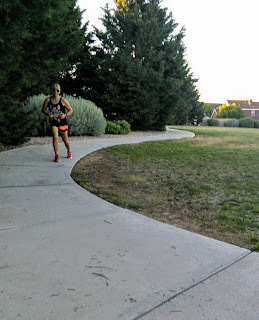 Check online meet up pages to find if there is one in your town or have friends meet you at the park. Place those kids in the strollers and get walking with other moms. You will have someone to talk to and help motivate you. When you are done walking, the kids can then play together in the park. I remember my mom's club when my boys were young and we often got together for many other playdates. I made some wonderful friends too. Now that you have no more excuses about working out get your exercise this week. Soon you will discover how great exercise makes you feel. If you need some inspiration for healthy eating or how to keep your heart healthy, check out these posts. 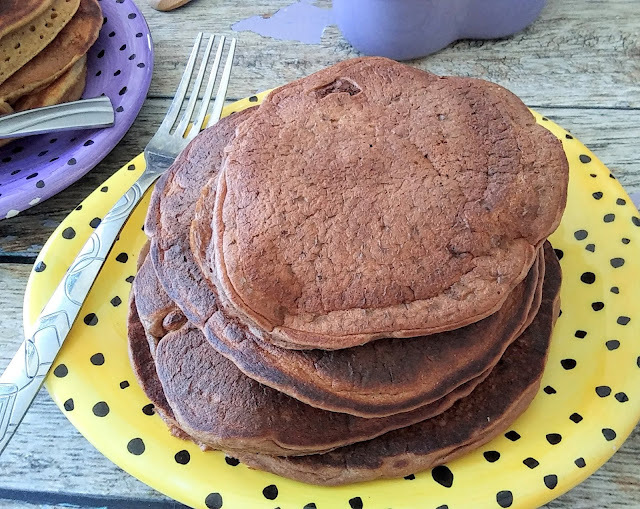 You also need to discover this amazing recipe for delicious healthy chocolate protein pancakes. These are great tips and so easy to follow for everyone! Thanks for such a fab blog post! Love your images also! Stroller Walking is a great way to get some exercise in after you have a new baby. These are great exercises for a stay at home Mom. I am a stay at home mom and homemaker. My laundry room is in my basement. I get plenty of physical exercise each day just lugging baskets up and down lol! Way to go mama! I love that you're making the most of the park visit for both you and your kids! Sorry I lost my concentration after reading about nudest wild berry flavour smoothy. yummmmm. I need a box of those smoothy mixes! These are great tips and some of them I already do with my children. I love the smoothy you shared, looks delicious. Great tips for both you and your children. It is hard now because my children are always working. I have to wait for my grandchildren one day !! Great tips you are on the right path will all of these supplies & workout gear. Keep it up! Lovely tips and convenient for a single like me :) Its motivating! Swimming is such a fun way to workout! It is a full body workout you can do while the kids play. I need to start following some of these tips. I find it so hard to make time to work out as a stay at home mom. These are awesome tips. I would love to get in shape again once my knees are healed. Thanks for sharing! Thanks for these workout tips. I do zumba and yoga at home. These are all really great tips! Working out and exercising with young kids is definitely a struggle! I agree that stroller walks are a great way to get some exercise and some sunlight for your little one! I also try to do some work outs when my son is still asleep! I'll definitely be keeping some of these in mind, thanks for sharing! I am not a mom...you just made me feel so lazy. I am falling behind on my fitness goals and there you are getting fit with two boys...I'm getting my behind to the gym tomorrow! THE FIRST THING I BOUGHT and MOVED IN to the new house I live in... An Elliptical. Cause I am crazy - but also know WHAT I LOVE and what makes me feel good!!! So I HAD TO and my husband doesn't complain cause he doesn't want me to be the devil LOL! This is so so cool! I super love your workout tips, they are great. These are some great tips for home moms to be fit. Thanks for sharing! I prefer to workout at home or outdoors. It allows me to do it on my time and without worrying about what I'm wearing or how I look. There is really no excuse to exercise with so many options around us. I have a lot of videos at home, so it's easier to work out when kids are at home. 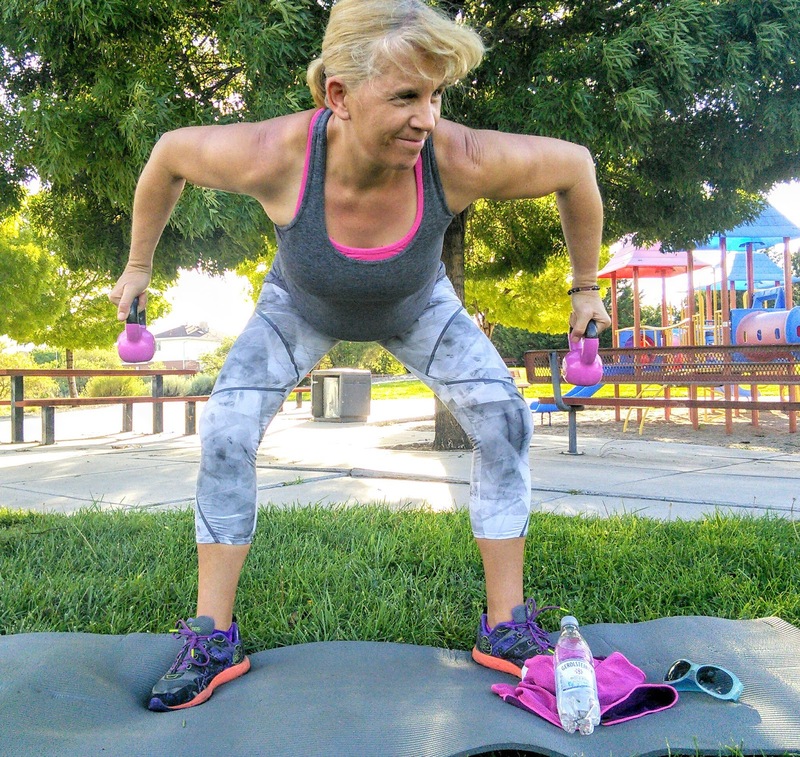 Getting in a workout as a stay at home mom can be something difficult. This makes it look like it would be so simple! I am not a stay at home mom but a teacher. I love to do simple yoga with my kids! Definitely thinking about doing the getting some home gym equipment thing. But I also am a bit excited that I can get my daughter to go to the gym with me as well. That would also be good.